Minibus Breakdown Cover – Get 10% off! All levels of our cover offer roadside recovery. This means that your minibus will be repaired promptly by the roadside. If this can’t be done then we can guarantee your minibus will be taken to a local garage, within 10 miles of your breakdown, to be fixed that day. There’s even another level of cover that ensures you’ll be given accommodation should you need it, or access to onward travel to complete your journey. But please read through your documentation as some restrictions to these scenarios may apply. Another aspect to consider is the option of Nationwide Recovery. 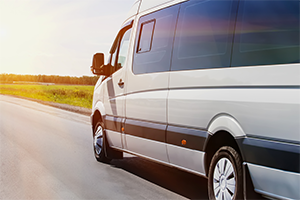 If your vehicle cannot be repaired within the same working day, we will arrange for your minibus, you and up to 7 passengers to be transported to your home address, or if you would prefer and it is closer, your original destination within the UK. Home Assist is one of our most helpful facets of breakdown cover. If required, we will send help to your home address or within a one-mile radius of it, in the event your minibus breaks down; a great addition to help with those sudden, local problems. European Cover is also offered through some of our providers, a great help for those long-distance journeys. It’s really important you check our full list of exclusions in the policy documents, we wouldn’t want you to miss out on a claim because of this. .